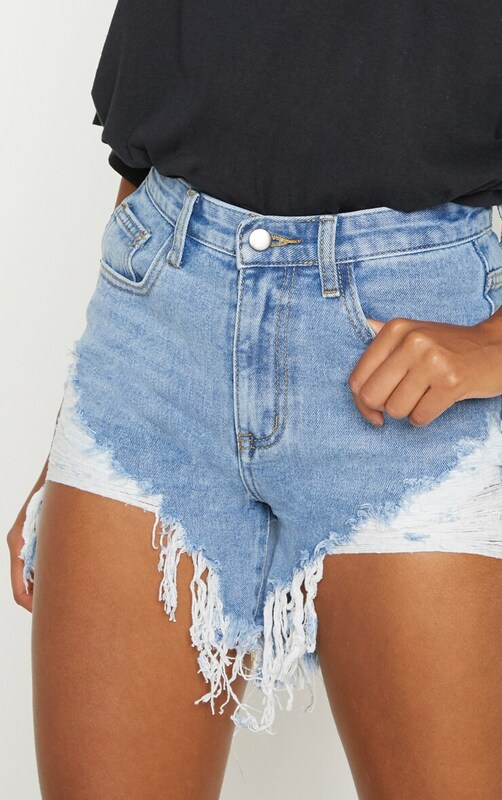 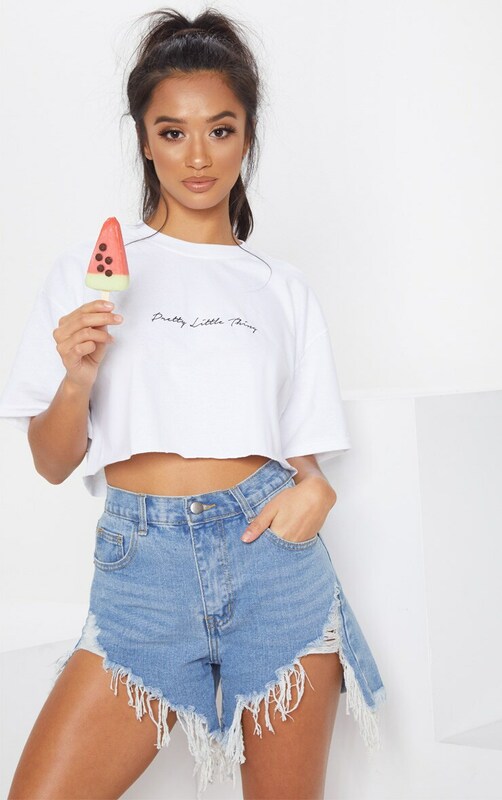 These denim shorts are perfect for any occasion. 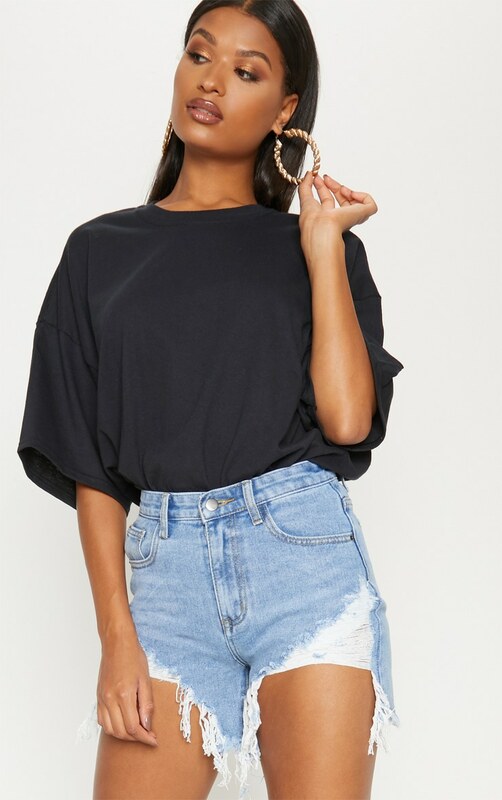 Featuring a light wash distressed denim, a longline style and a cutout front. 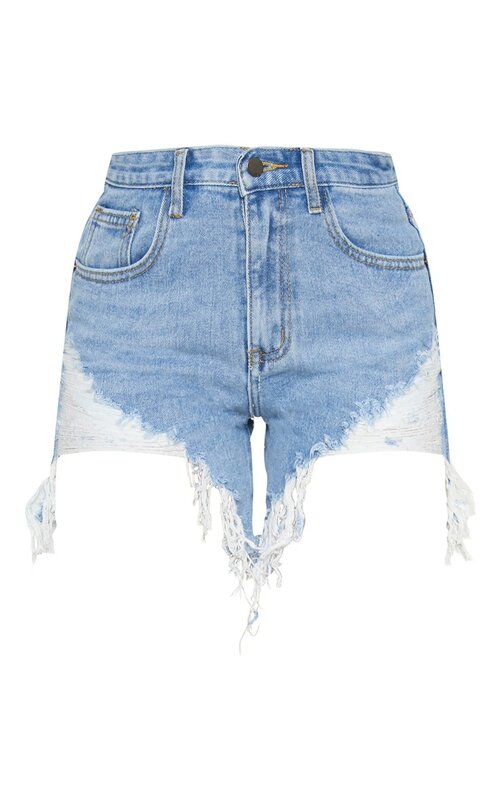 Style these shorts with a basic tee and knee-high boots for an off-duty look we are loving.